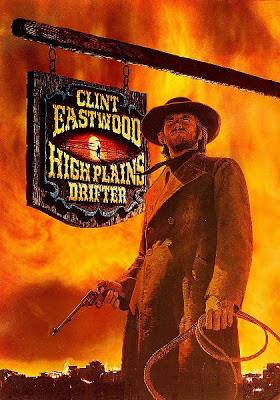 High Plains Drifter, Clint Eastwood’s second film as a director and first that of a Western, was a remarkably gripping, deeply disturbing and unabashedly violent film. He used the iconic ‘Man with No Name’ persona from Leone’s ‘Dollar Trilogy’ for his protagonist here, but added far darker and malevolent shades to it. It begins with a mysterious stranger (Eastwood) riding into a small and newly built town on horseback. He immediately draws attention of the town folk when he single-handedly shoots three outlaws who had been appointed to protect them. Taking the crack-shot as a force to reckon with, they request him to be their new protector as three dangerous criminals led by a vicious outlaw (Geoffrey Lewis), who had been responsible for the brutal murder of the previous Sheriff, are slated to be released in a few days; in return, he is given a carte blanche in terms of what he wants. However, unbeknownst to all, he has an ulterior motive in riding into this town and taking their offer, and in a cold, calculated and ruthless manner he goes about destroying everything that the town holds dear. Consequently, by the time he kills the gang members and rides into oblivion, he ends up doing as much damage as the three might have. His intent was never made clear, but allusions were provided that revenge for the slaying of the former Sheriff, which the residents had silently watched without extending their support, was possibly the agenda that was at work for him. Rarely have Westerns been made, even among the revisionist ones, which have comprised of as much carnage being perpetrated by the protagonist himself as this. Shubhajit....I need to see this one in preparation for the Westerns countdown. As for Eastwood, I just watched Pale Rider and was REALLY let down. God that movie is awful and a total hack job and remake of Shane. 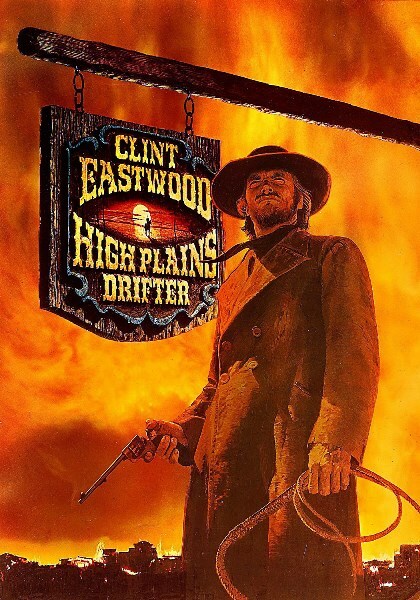 Great to see all the enthusiasm and application for the western countdown, and HIGH PLAINS DRIFTER is certainly a major player for consideration. The town being painted of course is what many will immediately remember, but as Shubhajit superbly opines here there is much carnage, relatively unusual for a revisionist take. I am not as down on PALE RIDER as Jon is though I didn't vote for it on my ballot. I find in this genre that there is unavoidable canabalizing of plots and themes. In any case I would still recommend a look-see, though as I say it is hardly great. Thanks a lot Sam. More than its physical violence, its moral violence is what most would find extremely disturbing. And the stranger's interactions with women as well! I too might watch Pale Rider at some point of time. And yes, more than the storylines in Westerns (which, as you rightly put it, get cannibalized far more than any other genre), what make the genre really interesting for me are its theme & its form.